The American Red Cross serving Orange County recently thanked Wells Fargo Bank for their continued support of Red Cross programs to help prepare for, respond to and recover from disasters big and small. Red Cross serving Orange County Board Member Tony Digiovanni, Jack Toan, Vice President Community Relations West Region, Wells Fargo Government and Community Relations Group and Linda E. Voss, CEO, American Red Cross, Desert to the Sea Region at a recognition event in early April. Linda E. Voss, Chief Executive Officer, American Red Cross Desert to the Sea Region along with Red Cross Orange County Board Member Tony Digiovanni were on hand for a recent presentation at the Wells Fargo location in Irvine. 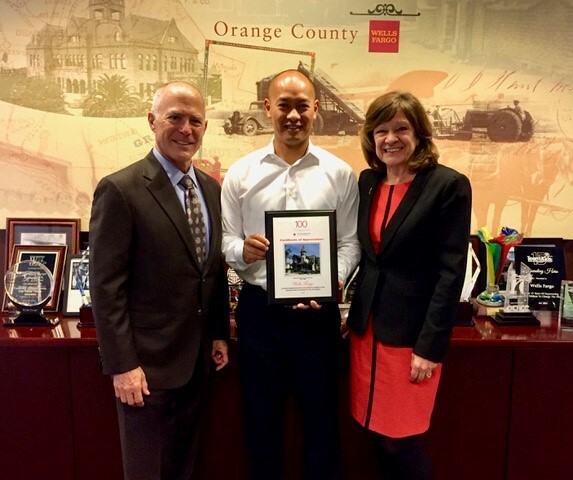 American Red Cross was recognizing Wells Fargo and their employees for the financial and volunteer support, and company sponsored blood drives, during a meeting with Jack Toan, Vice President Community Relations West Region, Wells Fargo Government and Community Relations Group. Members of the Annual Disaster Giving Program (ADGP) and Disaster Responder Program pre-invest in disaster relief, ensuring the Red Cross can pre-position supplies, secure shelters, maintain vehicles and train volunteers nationwide, so that Red Cross is always ready to respond, day and night. This support also means Red Cross can assist people as they recover from either small or large disasters with helping to meet short term and immediate needs. With gifts totaling more than $12 million over the last five years, Wells Fargo has supported Red Cross responses throughout the country from Superstorm Sandy to the Blue Cut Fire in San Bernardino and local events, such as home fires. Wells Fargo also supports blood drives and provides volunteers for Red Cross events. 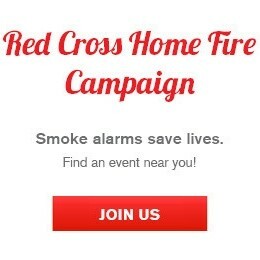 For more information about the Red Cross Annual Disaster Giving Program, click here.